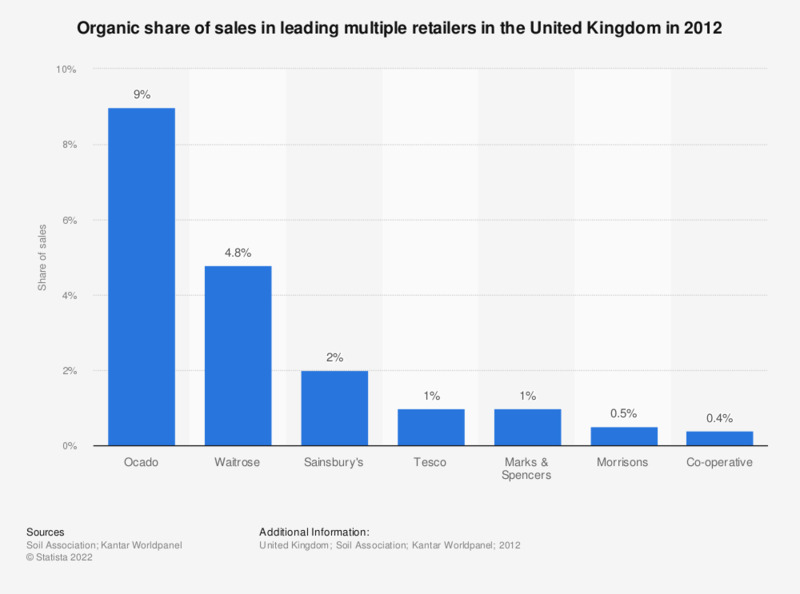 This statistic shows the organic share of sales made in leading grocery multiple retailers in the United Kingdom in 2012. Ocado ranked first with the highest share of organic sales at 9 percent. The Co-operative had the lowest share, with only 0.4 percent of sales being for organic products. Results for Asda were listed by the source as n/a and have therefore been omitted.